Cross Country Running is a fun and challenging Fall Sport for boys and girls at MVL. 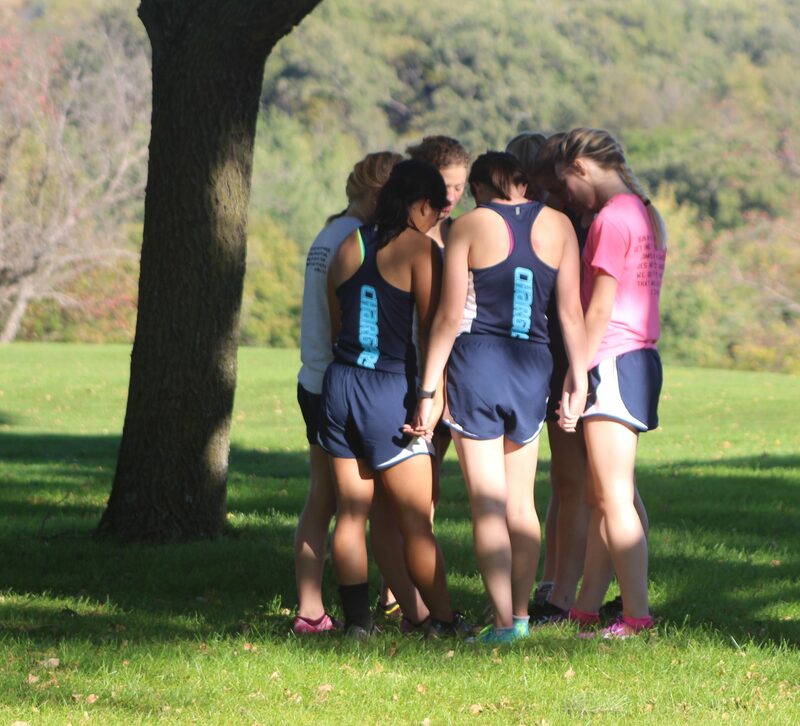 Cross Country offers personal and physical development, along with the excitement of interscholastic competition. We go to Cross Country meets with schools throughout southern Minnesota and run races of five kilometers (just over three miles). Our teams represent MVL in CC meets throughout the Fall season, in the Tomahawk Conference meet, and in Section and State competition. Our athletes compete at the Junior Varsity and Varsity levels. Our training program is tailored to meet the ability and experience of each runner. Our goal is to lift each runner to the highest level he or she can achieve! We have seen students who never thought they could be athletes have a great time and surprise themselves with how well they have done! There is no such thing as being too short or too tall or not being big enough or strong enough or fast enough to run. Almost anyone can be a distance runner, and everyone can experience a degree of steady improvement. A summer workout plan helps prepare the athlete for Cross Country participation in the fall. Click on the following link for the link to get a work-out plan and form for recording summer activity.